Our first entry in the four-part Data Center Frontier Special Report Series that explores the future of lithium-ion batteries and their impact on energy storage, offered a comparison off the capabilities and characteristics of lead acid versus lithium-ion batteries. The series moves on in this post to explore how lithium-ion batteries can lead to energy storage TCO savings. The manufacturing methods used to produce lithium-ion batteries vs lead-acid cells results in a much lower failure rate. 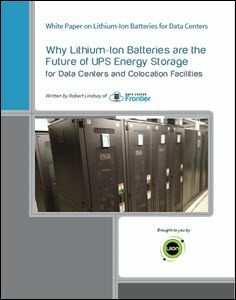 With a longer lifespan and lower maintenance requirements, the failure of lithium-ion batteries in UPS applications is almost non-existent. Depending on the chemistry used, lithium-ion batteries can have a lifespan of up to 15 years. This offers a huge savings in replacement costs over lead acid batteries, since lithium-ion batteries don’t have to be replaced every 3-4 years. Also, lithium-ion batteries typically have a longer cycle life than lead acid batteries. For example, a lead acid battery usually gives you 200 discharge cycles, meaning you can deplete the battery’s energy (watt-hours) to 50% of its rating, and then recharge it back to 100% power a total of 200 times before the battery dies. But lithium batteries provide 500- 7000 discharge cycles (depending on chemistry used) before you have to replace the battery. Additionally, lithium-ion batteries have a lower self-discharge rate, or slow discharge of the battery when not in use, which gives them a longer shelf life. Lithium-ion batteries weigh about a third less than lead acid batteries. This saves money on construction costs, since you don’t need to reinforce floors to handle more weight. It also saves money in shipping and transportation, since you can ship the same energy capacity in lithium-ion batteries at a lower cost. Lithium-ion cabinets are typically one-half the size of lead acid cabinets, providing a 50% savings in floor space for the same amount of energy. 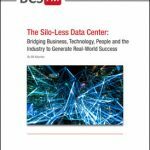 This allows you re-design your data center to increase available floor space for IT systems. It can also provide savings in construction costs for new data centers, since you can build smaller rooms to hold lithium-ion cabinets for UPS energy storage purposes. Lithium batteries have a higher energy density (Wh/kg, or watt hours per kilogram) and power density (W/kg, or watts per kilogram). This is why lithium batteries offer the same amount of energy as lead acid batteries at a smaller size and lower weight. Lithium batteries can operate at temperatures of 86°F (30°C), almost 10 degrees higher than lead acid batteries. This allows you to increase room temperatures in the data center, which reduces energy used for cooling, and lowers cooling costs, and as a result energy storage TCO. Also, li-ion batteries are less sensitive to temperature changes, and temperature spikes will not shorten the battery’s useful life. Lithium batteries come with a built-in battery management system (BMS), which provides automatic status and fault monitoring, cell balancing, power optimization, and external communications. The BMS makes it easier for facility engineers to monitor a battery’s run-time and health, reducing labor and maintenance costs, and significantly reducing the risk of a surprise battery string failure. Lithium batteries have one-third the carbon footprint of lead acid batteries, and are not as environmentally invasive.